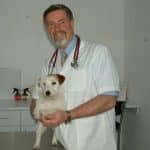 Dr. Judy is extremely pleased to bring back world renowned author, educator, nutritionist and holistic veterinary surgeon, Dr. Ian Billinghurst of Bathurst, New South Wales, Australia in 2 very special back-to-back episodes. Retired from his small animal practice, Dr. B. remains quite busy with activities such as consultations on evolutionary nutrition and the production of Dr. B’s BARF, his own brand of raw pet foods. In this mini-series, you’ll hear a lot more from his book, “Pointing the Bone at Cancer”, chronicling solutions for cancer, which is striking with increased frequency and severity in dogs, cats and humans. Listen as Dr. B. delves into the growth of Raw and Keto diets, and the barrage of opposition they are receiving, including one of the biggest problems – lack of acceptance by mainstream medicine. Even so, the Keto diet is beginning to garner interest for humans and pets, and Dr. B will help you understand this concept as the lifestyle of our “hunter and gatherer” ancestors, and why it’s actually the way we are meant to live most of the time. Dr. B works tirelessly to showcase the science behind nutrition and cancer, especially as Keto is now proving to be both neuroprotective and neurorestorative, with benefits beyond cancer for such problems as Alzheimers, MN disease, Parkinson’s, ADHD and more. He continues to present to members of his own profession to emphasize effective nutritional treatment programs for pets that can be used the very next day in clinical practice. This is a rare opportunity to learn more as Dr. B shares his expertise with Dr. Judy, so grab your pen and paper, because you’ll want to take notes when you tune in for the next two shows with our honored guest.